What is Shutterstock and What does it Offer? 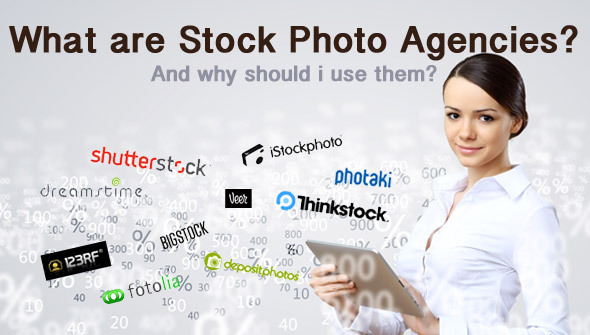 There are a number of stock media agencies in the market, and Shutterstock is one of them. It is a global company that prides itself as the most vibrant marketplace for creative professionals. It offers stunning images, videos and music at straightforward prices. It also features innovative tools that will help power your creative process. Shutterstock offers high quality stock photos that can bring your ideas to life. It made searching easier by providing popular photo searches, featured photo collections and popular Editorial searches. If you are looking for professional photos, this is the place to go. It has millions of images in its library, with thousands more added daily. Shutterstock also offers royalty-free stock footages. It has roughly 6 million videos in its library that you can purchase and download a la carte or with a pack. Search for the perfect footage to jumpstart your creative project by using categories. You can also check out the stock site’s featured contributor and clip. Shutterstock’s music collection is neatly organized. You will surely find what you are looking for by browsing through the latest hits, genre, mood, tempo and Soundboxes. Music pricing starts at $49, which is simple and straightforward. What is Shutterstock? 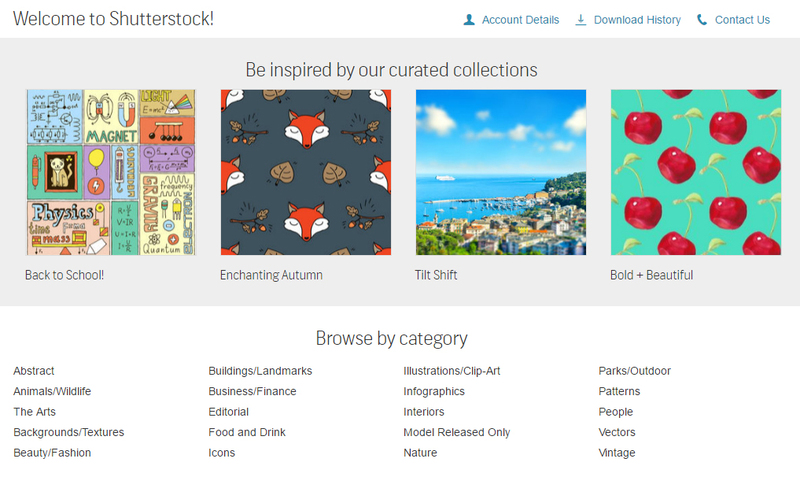 Create a free browse account and discover what the stock site is all about and what it offers. Search over 100 million images, videos and music to complete your creative projects. Create and share lightboxes to promote creativity. Whether you are looking to purchase stock content a la carte or through a subscription, Shutterstock site has a plan for you. Working with a team or employees? No problem. Shutterstock has Team Plan and Enterprise Plan. Team Plan includes 750 images per month for a year. For Enterprise Plan, contact the stock site. Enhanced plans are also available if you need more print runs, more use for TV and online videos, or more use for merchandise for sale. Shutterstock provides creative professionals with the freedom and resources to create amazing projects. It allows bloggers, web designers and businesses to browse through its collection for free. That’s right! You can check out its library and see if you find the images, videos and music you are looking for to complete your project. If you do find something you like, then you can proceed to purchasing image packs or subscribing to a plan. With Shutterstock, you can start for free. Then, you can choose among these pricing and plans: Basic, Professional and Team. These plans come with Standard license, which means you have perpetual usage rights. You can use the images, videos and music in projects multiple times for as long as you like. If you are looking to get additional rights, you can go with the Enhanced plan too – but for a higher price. Whatever your creative needs and budget are, the stock site will help you. Basic. The Basic plan allows you to purchase image packs of 5 and 25. The images must be downloaded within one year of purchase of the pack. This is suitable if you need content for one-time projects. Professional. The Professional plan is a subscription that gives you access to Shutterstock’s entire collection with no daily download limits. You can opt for a one-month subscription or an annual one, whichever works best for you. The lowest image downloads is 350. Team. The Team plan is an annual subscription suitable for a team of 2 or more users. Prices will vary based on the number of users. The above pricing and plans include a Standard license only. If you have a large audience or if you need bigger print runs and more merchandise for sale, you should get an Enhanced plan, which starts at $199 for 2 images. The images must be downloaded within one year of purchase, too. Shutterstock also offers an Enterprise plan for creative agencies, production companies, and Fortune 500 companies. They have the perfect solution for large creative needs. Shutterstock offers amazing content at simple and straightforward pricing. It caters to creative professionals of all budget levels. But, it does not stop the stock site from giving its avid customers with the opportunity to save more. Along with its affiliate sites, the stock media agency offers Shutterstock coupon for more savings. This coupon is applicable to online, Standard-License purchases only. That means you can use it to get discounts from the Basic, Professional and Team plans. Shutterstock has one of the largest stock media libraries in the market. With over 100 million content, you will surely find everything you are looking for and download them at affordable prices. With a Shutterstock coupon, you are in for a bigger treat! 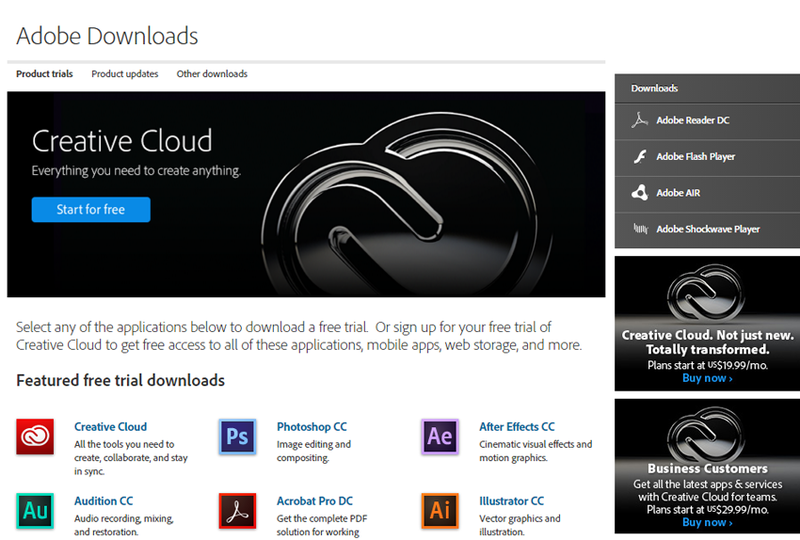 Adobe Stock is known for their world-class images right inside Creative Cloud desktop applications, like Photoshop. It has over 50 million high quality stock images in its collection, providing creative professionals with a load of choices. Not only that, the stock photo website also provides purchase choices that meet your needs. You have a choice between an annual and monthly subscription plans. There are also plans for heavy image usage. The monthly subscription plan is perfect for short term or occasional creative projects. It offers 10 images for $49.99 per month, with additional images priced at $4.99 each. It also support rollovers of up to 120 images onto the next month. The annual subscription plan is suitable for creative professionals with consistent image needs. For instance, you are running a blog, website or business that requires a regular amount of images per month. Although it is an annual plan, it is paid monthly for $29.99/month with additional images prices at $2.99 each. It also supports rollovers of up to 120 images onto the next month. Currently, the stock photo website has an offer that allows you to get Adobe Stock photos free. This offer is only available to new subscribers of the annual subscription plan. How does it work? When you sign up for an account via this link, you get a refund on the first month of your subscription. This offer is cancel risk free, which means you can cancel your subscription within the first month without charges. The offer expires in April 30, 2016, so you should hurry. Thereafter, prices may be subject to change without prior notice due to unseen circumstances. It is also subject to where the recipient resides. Generally, it is not eligible for residents in embargoed countries subject to US or local export restrictions. Moreover, the offer may not be exchanged, transferred, combined, redeemed, or sold for cash and other goods. There is another annual plan that is paid monthly, but does not provide the Adobe Stock photos free promo. It is suitable for creative users with bigger creative needs. For $199.99/month, you can download 750 images per month, with additional downloads of $0.99 per image. The stock photo website also offers plans for team and enterprises. You can contact Adobe Stock or request a consultation to learn more about these offers. These plans are perfect if you are buying for larger organizations. If you are looking for a great subscription plan, you should check out Adobe Stock. It has an Adobe Stock photo free offer with 10 images included. What’s great is you can cancel within the first month risk-free. Blogger Problems – Where can I Buy Cheap Stock Photos?